Baby Red bunch beets are about the size of a golf ball and have a round shape that tapers to a point. The outer skin of the Baby Red beet is thin and has a deep red to maroon color. Topped with large edible greens, the Baby Red bunch beet offers an earthy flavor which is similar to the large beet variety, but is more mild. 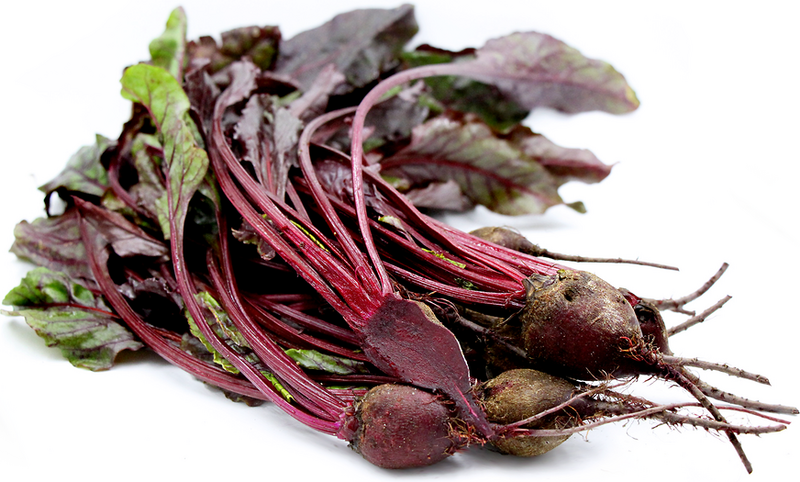 Baby Red bunch beets are available in the early fall with a peak throughout the winter months.